Fat LossMEX Carni Shot - 1 amp. MEX Carni Shot - 1 amp. Sensational fat burner, which consists of acetyl L-carnitine (ALC). Excellent composition, which can cope with even the most stubborn body fat! Bet on the quality! Sensational fat burner in the form of ampoules, which consists of acetyl L-carnitine (ALC). Excellent composition, which can cope with even the most stubborn body fat. If you are looking for effective and completely safe way to lose extra kilos of weight - this preparation would be an ideal choice. An additional advantage of the effect of L-carnitine to increase the efficiency of training the body! 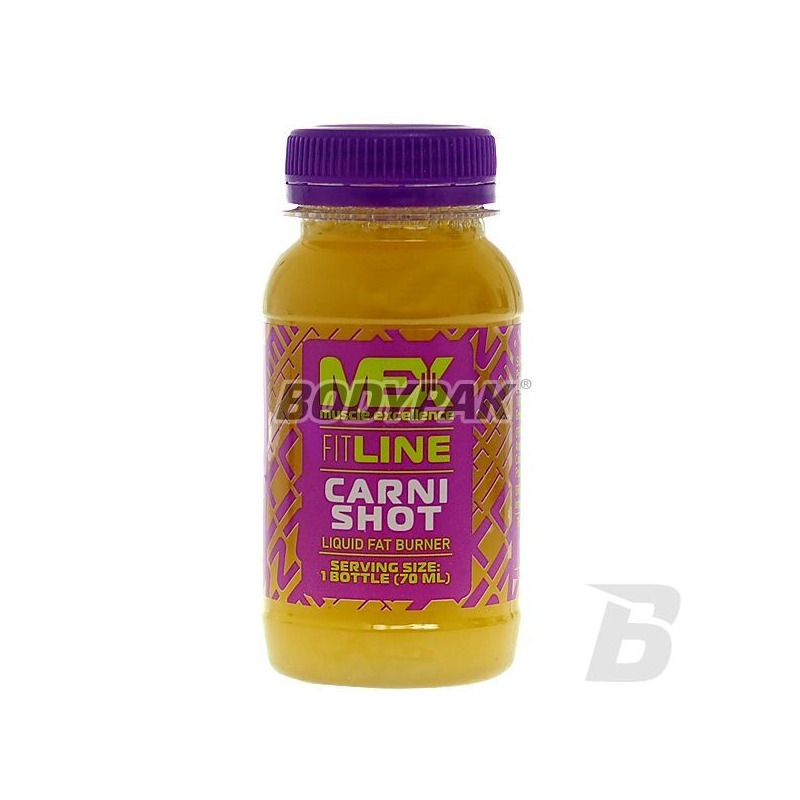 Carni MEX-Shot is a very strong reducing agent, which provides as much as 3.5 g three forms of L-carnitine in one portion. 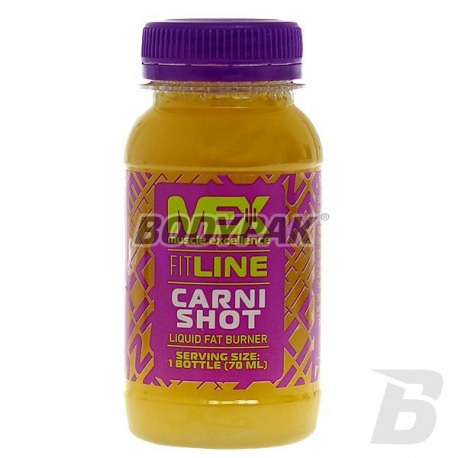 If you want change, you want to get slim and lean silhouette is Carni-Shot is exactly what you are looking for! Meet supplement that will change your life so far! Składniki: l-karnityna, winian l-karnityny, acetyl l-karnityny, zielona herbata - liść (Camellia sinesis (L.) O. Kuntze, chrom, (pikolinian chromu), kwas cytrynowy - regulator kwasowości, aromaty, sukraloza, acesulfam K - substancje słodzące, sorbinian potasu, benzoesan sodu - substancja konserwujące.